My favourite ancestor, John Fisher, has just done it again, and given me another glimpse into his life, and personality. And what a personality. I thought I had found everything there was to find, on John. After all, few 19thC farm labourers left much of a paper trail. 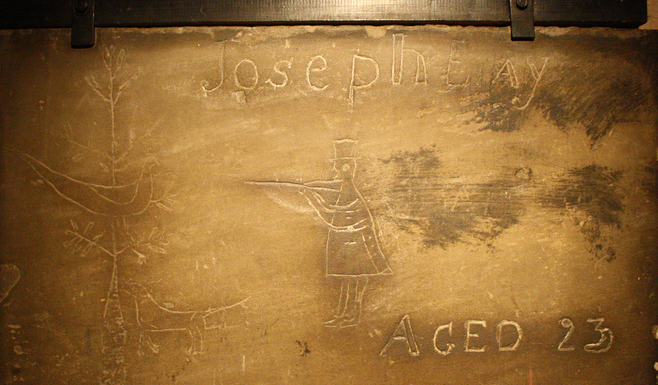 I counted myself lucky to find his words at the December, 1833 inquest. It turns out, searches of British Newspapers Online, are maybe less exact than I’d thought. Last night, I stumbled on another newspaper item from 1833, concerning John. I have done these same searches many times, but never found this til now. I should say that in every census, and in parish records, John is simply down as ‘Labourer’ or ‘Agricultural Labourer’. Now I not only have more detail, I know at least one of his employers (and some of their records from this date exist), I found out his nickname, and best of all… Yet more of his own actual words. There were two major landowners round here; Henry Preston, and Paul Beilby-Thompson. The victims of the Stillingfleet tragedy in 1833 had their funeral paid for by the latter. Preston was mired in a rather vituperative dispute about paying tithes at this time, and at loggerheads with David Markham, the Stillingfleet vicar. Knowing John Fisher was a church singer, great grandson of a former parish clerk with close ties to the church, I guessed John was more likely to be employed on the Thompson estate, than the Prestons’. Preston was famous locally for having a stove installed in his pew in the church. If the vicar got boring or his sermon went on too long – he’d poke the fire vigorously. In the1830s, Preston had enough of being robbed of a tenth of his considerable income by the church (landowners still paid tithes then), and started bombarding relevant authorities with a petition to have his tithes reduced. David Markham became the enemy. Moreby Wood was close to the river, and coincidentally, it was from Henry Preston that the Turners had stolen roofing lead, a couple of years earlier. John Turner was to die that Boxing Day night on the river in 1833. His brothers had been found Not Guilty of stealing the lead, despite it being found in their boat and there being witnesses. Preston was a JP and one of the most powerful men in Yorkshire. Yet it seemed hard for anyone to be convicted of anything on his land – maybe because the law had to be seen to be impartial, so Preston, who often headed the county’s Grand Jury, had to step away from involvement in cases where he was victim. In other words: being a gamekeeper for Preston would be a dangerous job in the 1830s. The Preston estate, like the Thompsons’, had a Head gamekeeper, under keeper, and several reliable local labourers would be employed as watchers. These would be men who were loyal, handy with a gun, could lay (and spot) traps, track, were observant, etc. They’d come and go from the gun rooms and servants’ halls, so they had to be trustworthy. It says a lot for John and Richard that they were employed as Preston’s watchers. 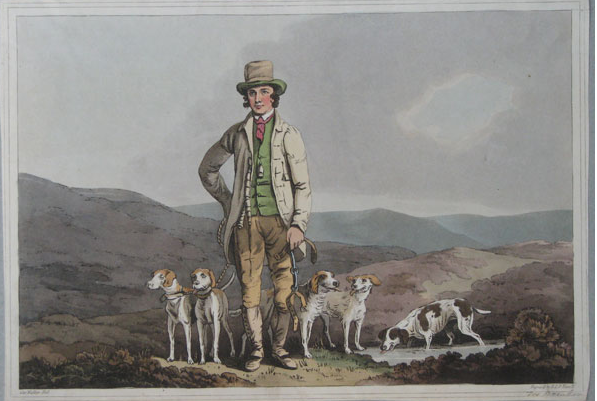 Gamekeepers were occasionally murdered in the course of their work. In 1835, Thomas Robinson, the keeper at nearby Kexby, on land also owned by Beilby-Thompson, was found lying face-up on a rabbit warren, with his throat cut from ear to ear. Robinson had his double barrelled shotgun with him when he set out at 4.a.m. The magistrate who handled the case initially was none other than Henry Preston Esq., himself. Robinson’s gun was found half a mile away, as it was customary for gamekeepers to lay down their guns if pursuing poachers. Brits generally, not just farmers, poachers and keepers, in the 1830s, were armed. We forget that, sometimes. It had been a time of unrest. Thomas Summers, the head keeper at Moreby, lived in the same stand of cottages in Stillingfleet as John; they were called “Who’d Have Thought It”. This suggests to me that maybe Preston, not Beilby-Thompson as I had assumed, built that now lost stand of cottages. How do I know the assault victim is ‘my’ John Fisher? In 1833, there were three John Fishers in Stillingfleet. My grt X 4 grandfather, John Fisher Sr, born 1764 so a bit elderly to be gamekeeper, at nearly 70 years of age (also, he lived in Kelfield); John Fisher born 1793, who was brother to my Great X 3 grandma, Mary Fisher; and John’s son, another John, who was only 15. This is how I am certain these are the words of my ‘favourite’ ancestor, the middle John Fisher. The case took 3 months to come to trial. Sessions were quarterly, so this is about the maximum wait on remand the poachers could have had. Fulford is now a suburb of York, on the outskirts. Moreby Hall was one of the houses the Church Singers visited that night, 11 months after this incident, and the last place they sung before getting into that ill-fated little boat and rowing back upriver. On the same boat, Turner, whose brothers and nephew had tried to steal Preston’s roofing lead; and Fisher and Toes, who watched Prestons’ woods occasionally. It must have made for an interesting atmosphere. Richard Toes was to be one of the three survivors of the disaster, along with John and George Eccles. Toes was the man who survived because he was tangled up in the rope, with John. Seems the night on the Ouse wasn’t their first brush with death, out Moreby way. RICHARD GOODRICKE, (aged 30), of Fulford; Thomas Pearson (46) of the same place; and George Debnam of Walmgate, York, were charged with entering an enclosed ground, (the property of Henry Preston., Esq., of Moreby), in the night-time, armed with guns, with intent to destroy game. MR. DUNDAS and MR.BLANSHARD were counsel for the prosecution: MR COTTINGHAM appeared for Goodricke and Debnam, and MR.MILNER for Pearson. [One counsel raises an objection about the wording of the indictment. Judge over-rules him, and the case begins]. John Fisher (examined by Mr. BLANSHARD). I am an occasional watcher of game to Henry Preston., Esq., of Moreby Hall. I was out on the 3rd of January last, about half past one in the morning, along with Richard Toes. We went to the fields until we got into a field called the Willow Nooks. We then heard a strange dog making a weft, and the noise of two or three men walking on the road. A dog came into the field, went back again, and returned into the field after a hare. He was a dark-coloured dog, with a white rim around his neck. I heard a man say: “D__n you; I did not want you to bring that dog; I knew we would have some trouble with him.” The dog did not catch the hare. When he returned to the road, they either struck or bunched* him, and he yelled. I saw the men, who were three in number, pass along the road. Toes went to call Wrightson, the keeper, up, and I took myself to Mr. Gill’s stack-yard, about 200 yards from the Long Rush. I did not see the men go into the wood, but he and the dog gave two wefts. I then heard men walking in the wood, amongst the leaves. It was very frosty. I then heard some wood pigeons or stockdoves rise. I went to meet Toes and Wrightson, and heard 4 or 5 shots in the Long Rush. I ran to Wrightson and Toes, and Toes was sent back for more assistance. Long Rush has game in it. Wrightson and I went easily on the road, until we met three men. I asked ‘Where have you been, and what have you got?’ One of them said boldly, a hare.’ Debnam was the man who held the hare by her legs. This was 4 or 500 yards from the Long Rush. They had two dogs with them; one of whom was the dog I had seen in the field. I clicked Debnam by the collar, and one of them said, D__n thee, let that dog loose, both dogs seized me by the heels and I kicked them off. I hit one of them over the ear with a short stick. I kept hold of Debnam and threw him on his back on the hedge. He got hold of my comfortable [scarf?] and tried to twitch it. I heard Wrightson call out: ‘Fish, fish, Oh! fish!’ I knew by that that he was done. I looked; and saw him on the ground; the men had left him, and he was trying to get up like a drunken man, but could not. I immediately received a blow over my shoulder from Goodricke, with the barrel of a gun. I cried out: ‘We’ll let you go!’ , and Wrightson said in a feeble way, ‘Aye, we’ll let them go!’ I did not see that they had guns when they came up; I did not know the third man, he had a light-coloured coat on; it was a moonlight morning; Escrick clock struck two just before the men entered Long Rush. Cross-examined by Mr. COTTINGHAM – The wood is about three hundred yards long, and 60 or 70 wide. George Wrightson (by Mr. DUNDAS) I am under-keeper to Mr.Preston. Toes called me up on the third of January last, and I took a stick and a double-barrelled gun with me. We met Fisher, and I sent Toes back; Fisher and I went on the road, until we came to near Willow Nook Close, where we met three men: one of them had a hare, and there were two dogs with them; I said: ‘Halloo! what are you about?’ One of them said: ‘Nothing. We have no guns. ‘ I said: ‘You must have something.’ Fisher said: ‘You have got a hare.’ and made a grab at the man who had it; I did not know the man; I knew the other two by sight, Goodricke and Pearson; Goodricke had a broad-brimmed hat on, a drab top-coat, woollen corded breeches and leggings. Pearson had a light-coloured coat, fustian trousers, and half-boots on. One of the men said: ‘D–n thee, let that dog loose!’ The dogs were at that time in bands, they were loosed, and one of them was set on Fisher. I laid down my gun, and seized a man, I was knocked down, but got up again. Goodricke struck me over the forehead with a stick. I then got the gun and told them to stand back, or take what followed; as I was laying the gun down again, Goodricke threw a hare into my face, which caused me to stagger. Pearson then had my gun up, ready to strike. Goodricke struck me again with a stick and said ‘D__n thee for a fool, use that gun’. Pearson had hold of the muzzle; he struck me over the head, and broke the gun. I cried out ‘Spare my life’ and he kept repeating his blows, till I was covered with blood. Fisher led me home, where I arrived about a quarter to three. It was a fine moonlight morning. [In Fulford, they hide opposite Goodricke’s house and watch til 6am, when Goodricke showed, with another man, from the direction of Moreby. Goodricke went into his house an a minute or two later, Debnam appeared, who they captured, after a fight. They took him to a public house, where he was held whilst Hargrave watched Goodricke’s house, seeig only Goodricke leaving at 9am. Goodricke and Debnam’s brief, Cottingham, then tried to suggest Hargrave did not know the names of the three men, and couldn’t swear to them. Hargrave says he could swear to the name of all three. But a Mr Baron Gurney interjects and tells the judge that Hargrave only actually ID’d Goodricke and “another man”. Next witness is Thomas Summers, head gamekeeper to Mr. Preston. Summers describes the watch he and Hargrave kept on Goodricke’s house. They hid in a blacksmith’s shed, opposite. He positively identifies Goodricke but says he only thinks Pearson was the other. Summers was about to go to the magistrates for a warrant when he saw the others arrest Debnam as he was armed. Summers examined the gun and said it had been fired that morning. He says although he didn’t name Pearson at the time and Pearson wasn’t arrested til the 7th January (4 days later) when he was taken into Wrightson’s chamber so Wrightson could ID him (this suggest how injured Wrightson was, that he was still in bed 4 days on). The three accused do not take the stand as “No-one was seen in the woods”, their counsels say. They also say there is no evidence against any of the men. Next witness to take the stand is policeman, Richard Thompson, who says he saw Pearson (who was Goodricke’s neighbour and there was a communicating door inside their houses) stagger home drunk on the evening of the 2nd January. Pearson claimed to the police his gun was owned by ‘Captain Wemyss’ and he was getting it repaired for him. The Jury retired and took all of 25 minutes to return with a verdict of NOT GUILTY. I will let you come to your own conclusions, gentle reader, but would it be bad if I pointed out that in April 1834, Richard Goodricke, and his witness, William Hallett, were found Guilty of night-poaching on the lands of neighbouring toff, Bielby-Thompson… (also the local MP) and the apparently well known “gang of poachers”, including Hallett, were given six months hard labour at Beverley House of Correction. Goodricke, as ringleader…. got a year. In 1841, both Simeon and Richard Goodricke were caught night poaching on the grounds of Lord Wenlock (Escrick) and this time pleaded Guilty. *’bunched’ = bunch of fives? For the knitters. I’m guessing John’s ‘comfortable’ was what later got called ‘comforter’, ie: scarf. The Shorter OED has “comforter” as “A long woollen scarf worn around the throat. 1833” John uses the word ‘comfortable’ in 1833. OED does not have ‘comfortable’ as an alternative, but that has to be what it is!